In a first step toward removing the grizzly from the Endangered Species List, the U.S. Fish and Wildlife Service (FWS) has released a set of goals that falls short of what is necessary to protect their habitat in and around Yellowstone. 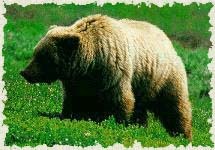 Six conservation groups expressed strong concerns about the plan for Yellowstone, one of the last five isolated pockets of America where the grizzly bear can still be found-and an area increasingly threatened by development, oil and gas drilling, mining, logging and road building. 1. One half million acres of prime habitat are at risk of oil and gas development which would eliminate bears from areas important to recovery, if fields are fully developed. 2. Private lands comprising important habitat are being transformed into subdivisions at a runway pace. 3. Escalating use of public lands by all-terrain vehicles is reducing the habitat security for this wildland-dependent species. 4. In the last twenty-five years, resident bears have been exterminated from two grizzly management units on the Targhee Forest as a result of excessive clear cutting and road building. 5. White bark pine, which provides the grizzly with pine nuts in the fall, is imperiled by an introduced blister rust disease and global climate change. 6. In Yellowstone Lake, introduced Lake trout threatens to out-compete and predate upon Yellowstone cutthroat, potentially reducing by 80% in twenty years the native trout, an important spring grizzly food. 7. Slaughter of Yellowstone’s bison herds by government officials has greatly reduced this essential food source; at reduced herd sizes, scientists have documented decreased grizzly reproduction and increased mortality. “Even inside the recovery area, this proposal allows for new road building when we know that roads and the activities that come with roads are precisely what kill grizzly bears,” said Tim Stevens of the Greater Yellowstone Coalition. Stevens points out FWS proposal could allow new roads and densities that are known to be lethal for grizzly bears. In addition, the plan compounds problems that the government still has not resolved in the recovery plan, which was found to be deficient in 1995 by a Federal judge. In this plan, FWS ignores these underlying problems-and the fact that it has still never calculated how many bears are needed to remain viable in the long term, or how much habitat is needed to maintain a healthy population.